An elephant from a circus. His sculptures are composed of recognizable objects of plastic, metal and wood. 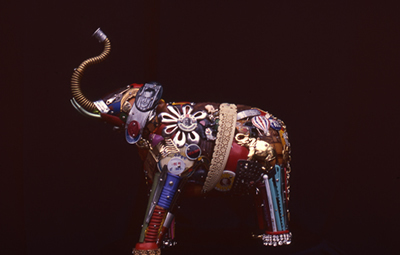 These objects are chosen for their color, shape, texture, durability and patina; then they are constructed of stainless steel, brass, or aluminum found objects which are welded together.